It's 4/20 and a great excuse to welcome a full day of amazing local music along with juicy suds from Sweetwater Brewing. We'll be raffling off loads of Sweetwater Swag. No cover 3–7pm. 3PM: Pop Vinyl featuring Brent Brown. 5PM: August West (Grateful Dead Tribute). $10 cover 8–11:30PM. 8PM: Coyote Riot. 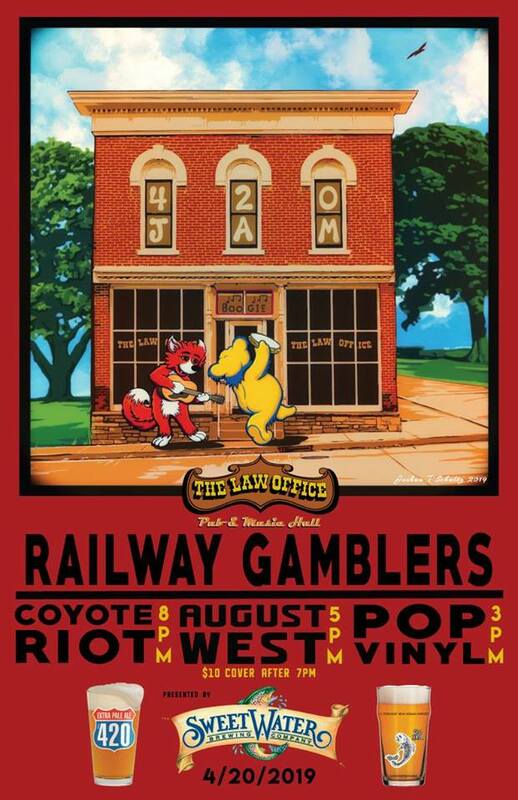 9PM: Railway Gamblers.